Start Writing Fiction is a free online course offered by The Open University. The eight-week program focuses on a skill which is central to the writing of all stories and novels – creating characters. 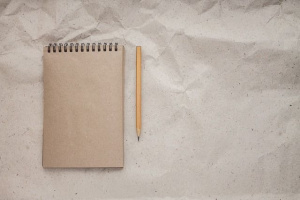 Participants will… The post Start Writing Fiction: A Free Online Course Starts 3 September appeared first on Aerogramme Writers’ Studio. Good morning, creatives and creators. I hope you’ve all had a good week. Mine started slow and has ended better! In the earlier stages of the week I was having some bad writing days, and some major writer’s doubt. But I’ve tried to be kind to myself, to relax and give myself a break. As such, I’m now back on track. But one thing was nagging at me, something that I’ve seen many other unpublished writers worrying about to. This awful question, after years of working hard on a project, rewriting, revising, studying; what if it’s all for nothing? It stems, I think, from a fear of rejection a worry that our works will never be read or appreciated. And with that in mind, I wanted to share some thoughts with you all, including ways to stop that question from taking over. Author LéaPosted on 29/07/2018 29/07/2018 Categories Books, WritingTags Achievement, Creativity, Work, writersLeave a comment on Novel Writing: What if it’s all for Nothing?